On Sept. 15, the latest version of the world’s most recognized environmental standard – ISO 14001 – was published following three years of work. Since its release in 1996, adoption has won fans because of its broad look at all potential environmental issues. The revision – ISO 14001:2015 – is aimed at helping organizations respond to global sustainability challenges and ensure they continue to derive benefits from implementing an Environmental Management System. In conjunction with obtaining certification to the standard, ISO 14001’s holistic approach to managing environmental impact has allowed organizations to demonstrate ‘green’ credentials as a differentiator in competitive scenarios. As a result, not only has the standard helped implementers save money through improved resource efficiency and reduced waste, but certification has helped them win work, too. Fundamentally, the structure of ISO 14001:2015 has also changed to share a common structure with other ISO management standards such as ISO 9001:2015 and ISO 27001:2013. This makes creating an integrated Management System considerably more straightforward. How will the revision benefit organizations? ISO 14001:2015 presents an opportunity for organizations to show they meet the very latest in global best practice for environmental management. In a recent survey conducted by IEMA, over 40 percent of respondents said the revised standard will bring greater buy-in from senior management. If this is achieved, organizations should find increased benefits from greater engagement and accountability with staff at all levels. The IEMA survey also revealed 40 percent of respondents saved at least US$15,000 per year, with some businesses saving over $7.5 million annually as a result of using the outgoing ISO 14001:2004 thanks to energy efficiency measures and improved waste management. IEMA also cited clients generating new business opportunities as a result of holding ISO 14001 certification. This is something supported in the British Assessment Bureau’s 2015 Client Satisfaction Survey, where 73 percent found certification helped them to qualify for or directly win business. A further 21 percent said ISO 14001 helped raise their organization’s profile. Not forgetting the internal benefits, 86 percent said they had improved processes and efficiencies. This resulted in 96 percent of clients surveyed saying they would recommend the environmental standard. 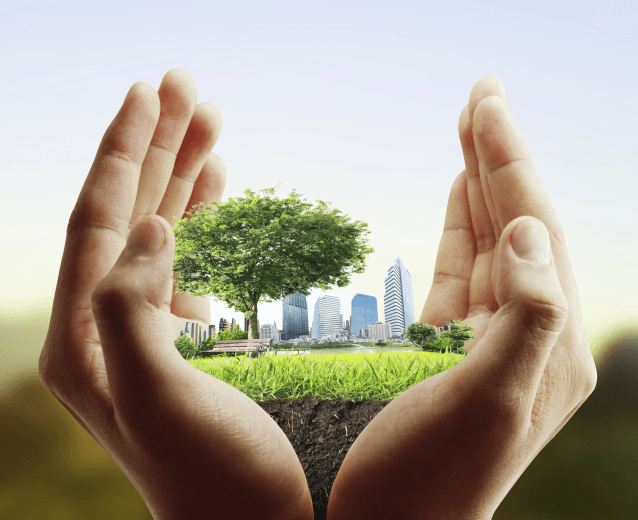 What will be the impact of ISO 14001:2015? As the above figures show, ISO 14001:2015 will build on a solid foundation left by its predecessors. With the new requirements encouraging organizations to consider their environmental impact from cradle to grave, together with improved engagement of its leaders and staff, the reach of the standards looks set to travel much deeper into the world’s supply chain. The latest ISO Survey shows that, despite many waiting for the new revision, adoption of the outgoing ISO 14001:2004 was still growing. Between 2013 and 2014, ISO reported 324,148 certificates in circulation, which represents 7.46 percent growth. In reality, this figure only scratches the surface, as submissions to the survey are not mandatory. It is estimated the figure is closer to 1 million. With ISO 14001:2015 more accessible thanks to its less prescriptive nature, now has never been a better time for organizations to wake up to the realities of environmental management being part of core strategy. Do you have experience with ISO 14001? Join the conversation via Twitter @TriplePundit.